Your attendees can pay for their event registration with a credit or debit card by using Payflow Pro. Need to Buy a Support License for the Payflow Pro Payment Gateway for Event Espresso 4? Download the latest version of the Payflow Pro payment gateway for Event Espresso 4 from your Event Espresso account. Your credentials for Payflow Pro are provided to you when you setup your merchant account. 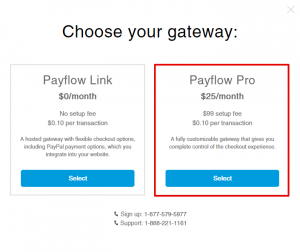 Will Payflow Pro be the only payment method enabled or the only one you offer? Click here to learn how to make it selected by default during the registration checkout. A Payflow Pro account with PayPal is needed to accept payments via Payflow. Need an account? Call this number to get started: 1-855-456-1338. Login to your WP-admin (WP Dashboard) and go to Event Espresso –> General Settings –> Payment Methods. Once on the Payment Methods screen, click on Playflow Pro and click on the button to activate the payment method. Vendor ID – This credential is needed to process payments and will be provided when you set up you Payflow account. User ID – If you have created multiple users within your Payflow account then each user will have a unique user ID, this can be input here. If you have not created multiple users this will match your Vendor ID. Password – This is the password for your Payflow account. Partner ID – if your Payflow account was acquired through a reseller, then use your reseller’s ID. Otherwise, leave blank, and the default option of “PayPal” will be used. The Payflow Pro payment gateway will let you accept payments via major credit or debit cards. A Payflow Pro account with PayPal is needed to accept payments via Payflow Pro, and an SSL certificate is recommended for securing your website. 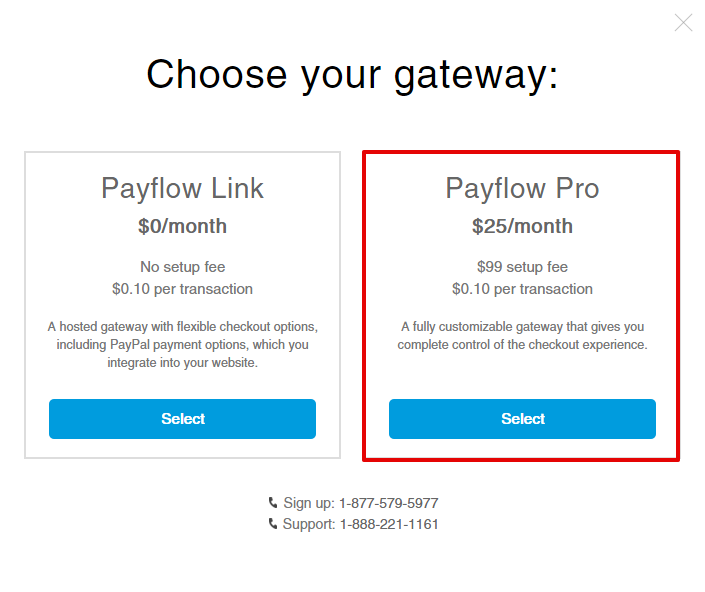 This gateway will not work with a ‘PayFlow Link’ account. I configured Payflow Pro and payments are not being processed. Can you help? Double-check your credentials to make sure that you are using the live credentials which are for production mode. Also, ensure that there is no extra spacing before or after the credentials in the payment methods page of Event Espresso. 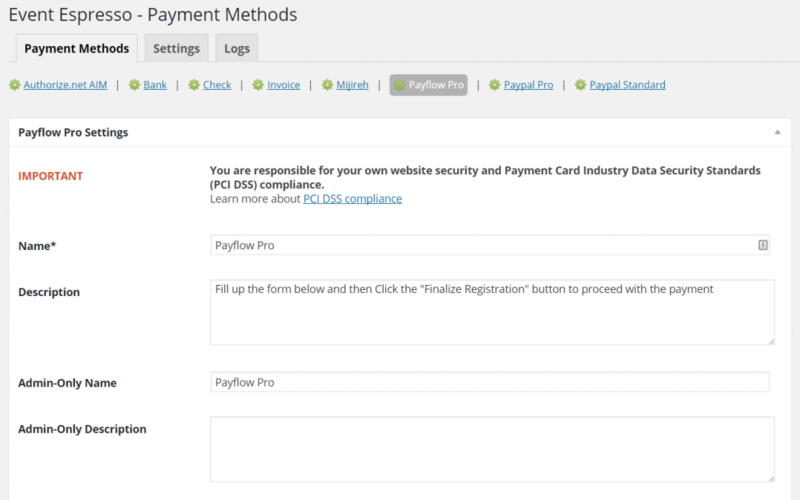 How can I set up a recurring payment or subscription through Payflow Pro? Recurring or subscription payments are not currently supported in the Payflow Pro payment gateway. When I refund a payment, does it also refund through Payflow Pro? 2) Then login to your Payflow Pro account and process the refund. Is an SSL certificate needed for Payflow Pro?